The SkyCaddie Golf GPS Watch is a meat and potatoes watch that offers its users the very basics. If I had to distill my review to a few words, I’d say that this golf GPS watch “gets the job done.” It’s an option for someone just getting into golf, but there are better options available for the price. If you want the very basics of a golf GPS watch, but do not want to spend a lot of money, we recommend checking out the Garmin S2. 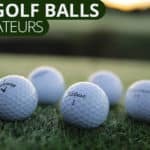 Because there are better options on the market for a similar price, the SkyCaddie golf GPS watch is not one of the best golf GPS watches of 2016. 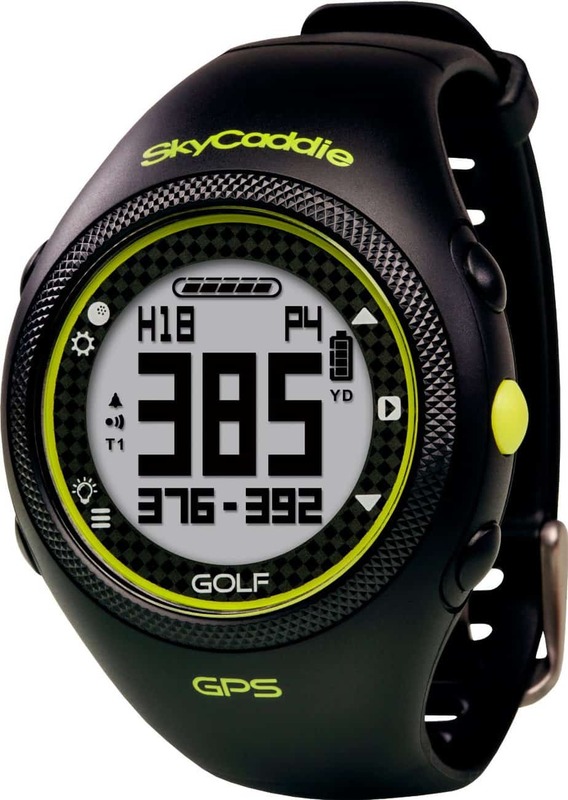 Performance-wise the SkyCaddie Golf GPS Watch offers the user distance to the front, middle, and back of the green like other comparable products. If you’re a weekend golfer, you really don’t need more than these yardages. 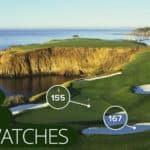 The watch offers just over 30,000 golf courses worldwide, which is about 3,000 courses fewer than comparable GPS watches on the market. 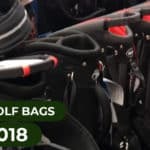 If you’re primarily playing in the U.S. and well-traveled courses internationally, this probably wont make much of a difference, but it’s something to keep in mind. 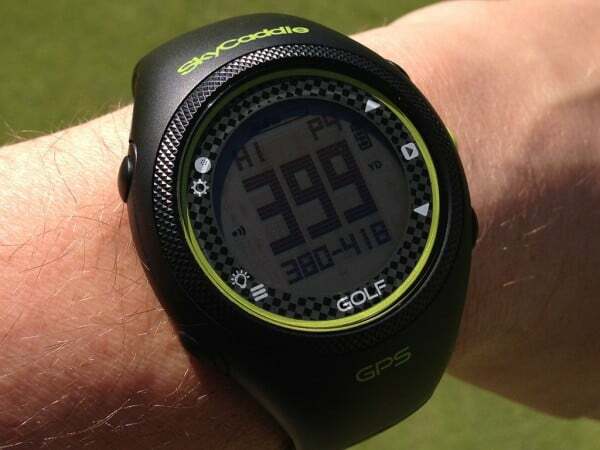 The SkyCaddie golf GPS watch comes with the standard extras that all GPS watches should offer. 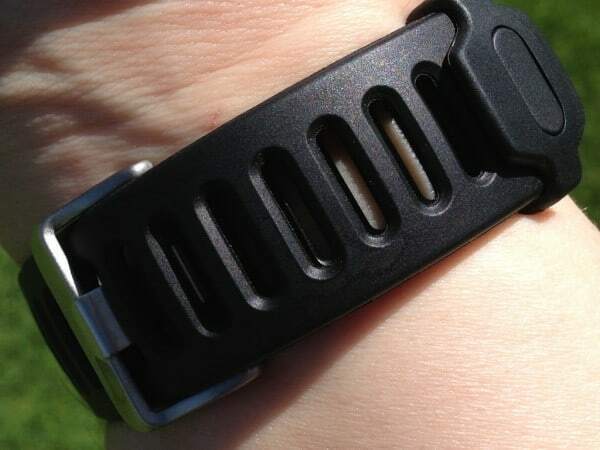 This watch is water resistant to 30 meters and has an odometer. This golf GPS watch can also track the distance, time, and speed of any run, walk, or bike ride. 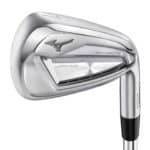 It also has a “pace of play” feature to track your playing time and automatically switches holes as you play your round. 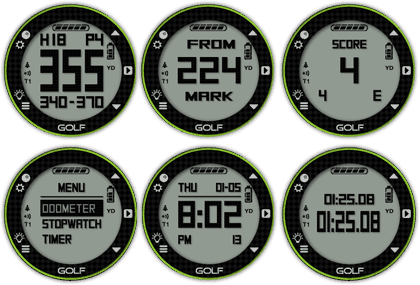 Below is a picture of the GPS watch face in different modes to give you a better idea of how it will look while you’re on the course. The watch face is clear, clean, and easy to read. This is a definite plus for anyone that has trouble seeing small images. Although you should never purchase a golf GPS watch for the way it looks, style still matters. A good golf GPS watch should be stylish enough to allow its wearer to go from the office to the course without any real cause for concern. Visually, this watch won’t offend anyone and can generally be worn in any setting. The SkyCaddie Golf GPS Watch avoids looking like a Timex, and can be worn with a business suit. Although you won’t get a compliment while sitting at the bar when you’re wearing it, you won’t feel self conscious either. This golf GPS watch was designed for the budget-conscious golfer, but does not come without its drawbacks. On the up side, it’s running about $20-30 cheaper than comparable watches right now. 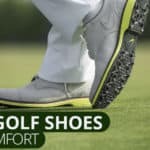 It’s a solid option for a golfer looking for the very basics in a golf GPS watch who has an absolute maximum budget. Although it is not one of the best golf GPS watches of 2016, this golf watch will still get the job done. If you want to check out the price on amazon, click the link below. If the wrist band breaks you are out of luck. 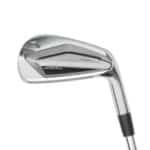 Per SkyGolf chat band is not replaceable. On the upside the gps watch still works great after 3 years. Using an apple computer to download sky caddie program. all goes well until the program tries to find my sky caddie. Has failed atlas 12 times. Unfortunately, Skycaddie close over the weekend. Anyone have any ideas on how to get this to work? Hi Judy – That sounds like a skycaddie/apple tech problem. I wouldn’t have any insight into fixing this besides the obvious (restarting the computer, deleting and reinstalling skycaddie). I think you’re on the right track with contacting skycaddie directly. Please let me know if you get it to work. best of luck. Phone app crashes frequently. SGX can’t find satellites frequently. Garbage all around. Thanks for your comment, Art. There are definitely better options on the market. If you’re looking to purchase a new golf watch, check out some of our Garmin reviews. They produce a far superior product without any annual fees. Bushnell also has some great options for golfers looking for a good product without breaking the bank. Swing well out there!